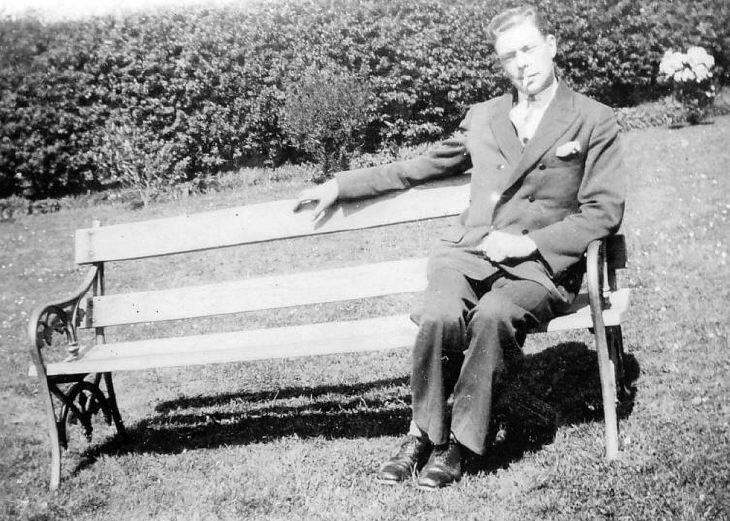 Monochrome photograph of four young men, three sitting on a bench and one standing behind, all wearing suits. Thought to be members or past members of local scout group(s). Photograph part of set taken during the years 1928-1934 glued to large sheets of brown paper.